After the code coverage measurement is completed, a code coverage report has to be generated in order to document the results. 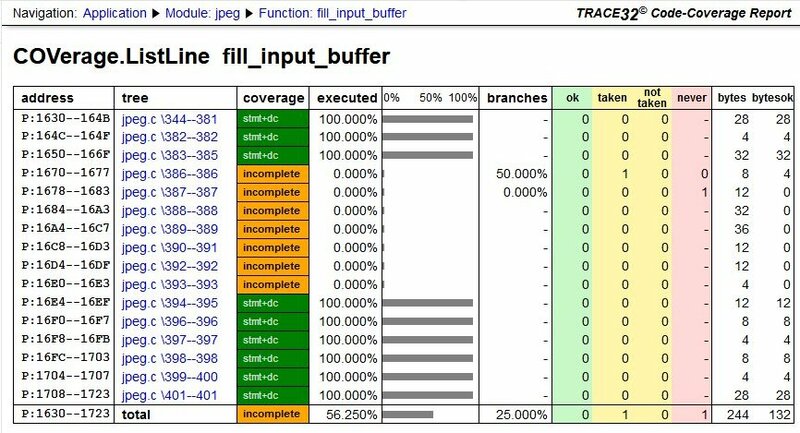 TRACE32 includes a Coverage Report Utility for this purpose. Before the report can be generated, resonable gaps in the code coverage can be commented out. There are a number of reasons for the occurence of gaps in the code coverage that have to be addressed after test completion. Dead code is not acceptable and has to be removed after detection, whereas e.g. deactivated code that is dependent on the currently active system configuration is permitted. 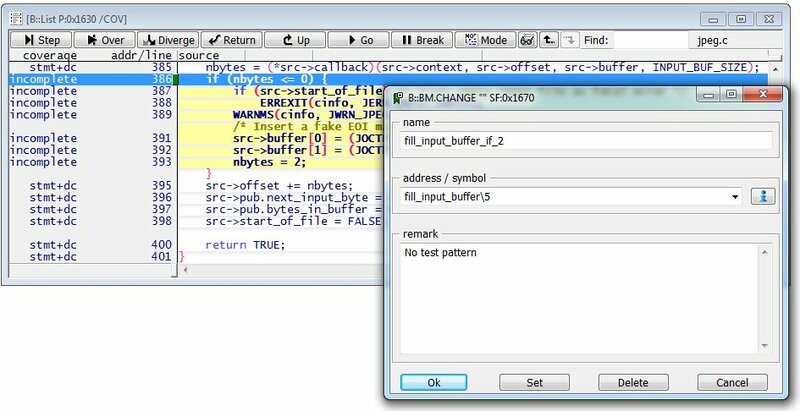 TRACE32 allows easy handling of code segments which require special attention. Lines may be supplemented by additional comments which can also be used to navigate quickly to the respective location. 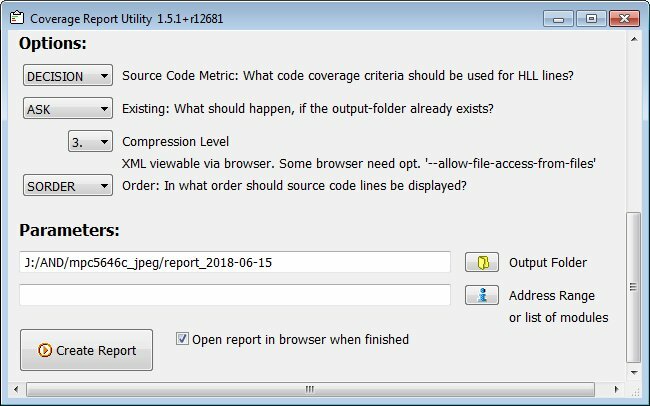 The TRACE32 Report Utility provides a dialog, that support the export of the code coverage results into .xml files. A seamless display of the .xml files in any web browser is included.